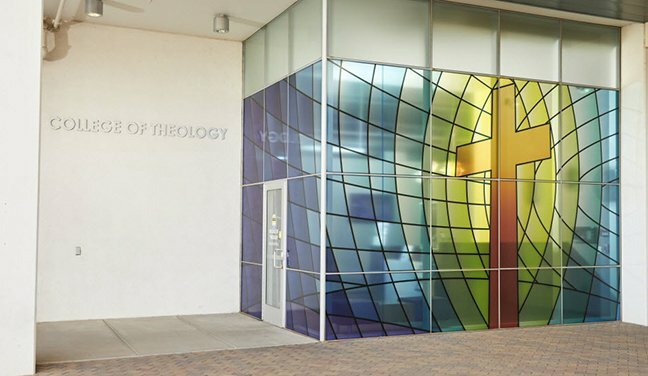 The mission of the College of Theology and Grand Canyon Theological Seminary is to help students find their path into ministry or whatever church-related calling they’re hearing. What better way to do that than to invite them to hear from people doing those ministries now. Thus, the Pastors Roundtable was born last fall at Grand Canyon University, and all three sessions have shown that students certainly are hearing a calling to take part in it – every single one has been full. Wednesday, they were there to hear from four men involved in church planting in the United States – i.e., starting new churches, often in disadvantaged communities. That topic was chosen because many students might have heard of church planting but don’t know exactly what it entails. “There are a couple reasons this is important,” said Dr. Jason Hiles, the College of Theology dean. “Most people going into ministry training are coming out of churches that are larger, more developed, more mature. They were at one time a plant, but they may not be really familiar with church planting. What was striking about their one-hour discussion was how often they agreed on the basics of church planting – and how important their mission is. Patton pointed out that the number of churches in the Valley isn’t nearly enough to accommodate its growing population, and afterward Hiles noted another reason it can be an attractive option. “In some established churches, you’re not part of that community and you have to be there 10 years before you feel like an insider. With church plants, there immediately are new relationships that you have access to,” he said. One of the things that fivesome focused on was the ways that students will need to mature to be in a ministry. The session last fall was all about the seminary life – why it can be a good option and what it requires. Hiles said that he and his staff will explore other topics that figure to be of equal interest to students, and the attendance at these midday sessions is a sign that students are eager for more. “You do that three times, and you think that you may have found a niche,” Hiles said.